Leaving Neverland, the two-part, four-hour documentary detailing the accounts of two men who allege they were sexually abused as children by Michael Jackson, is a difficult film. It is also an immensely important one. Through old home movies, archived performance footage, documents, pictures, and the men’s own words, Wade Robson and Jimmy Safechuck separately recount, in disturbingly graphic detail, the sexual abuse that they endured as children at the hands of Michael Jackson. It is not an easy film to watch, but what director Dan Reed has done here is provide a meticulous account of how pedophiles groom not just their young victims, but their victims’ families. Wade Robson and Jimmy Safechuck were both pursued by Michael Jackson upon meeting him. 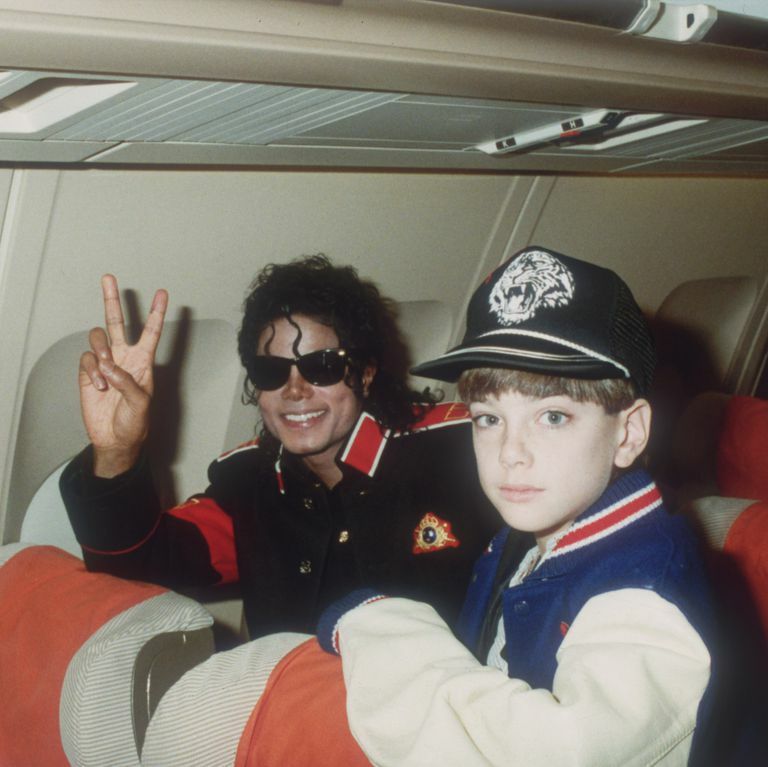 Robson, originally from Australia, was a gifted dancer by age seven, when he won a Michael Jackson dance competition and was awarded a meeting with Michael himself. Jimmy Safechuck first met Jackson at age ten, when they appeared together in a famous Pepsi commercial. To both boys and their families, Jackson was not just the King of Pop; he was a god. He inserted himself into their lives, made them feel special, gave them gifts, helped careers flourish, and then slowly separated the children from their parents. Hearing these details helps us to understand how a family can go from casually meeting a larger-than-life superstar to allowing their child to sleep night after night in the same bed with an adult man. We see pictures of Jackson lounging at the Safechucks’ home, where he was treated as a part of the family. We hear voice messages recorded on answering machines, each of which shows Michael calling these young boys’ houses to talk for hours; bestowing nicknames on them, like Lil One and Applehead. We read Michael’s notes sent via fax machine, professing his love. The mothers of Safechuck and Robson share how they considered Michael a son, that he was really a nine-year-old in an adult’s body, that they saw the friendship between Jackson and their children to be innocent, and how they were caught up in the whirlwind of fame and fortune. It is difficult not to scoff at and be disgusted by these parents who failed to protect their children in such a devastating way. But it is necessary that we hear the ways in which they failed in order to recognize a family being groomed. Robson and Safechuck describe almost identical sexual relationships with Jackson. They share how special Jackson made them feel, how they were told these sexual acts were how they expressed their love for each other, and that if anyone were to ever find out what they were doing, their lives would be over and both would be punished. Jackson, they allege, had a complex series of alarms and closets, so he could hear people coming, hide the children, and ensure they would not get caught. Safechuck details a marriage ceremony he and Jackson had to declare their love for each other, complete with an exchange of rings. It might be hard to understand how this level of abuse and manipulation and deception could go on for so long. Surely the boys would have given some indication that they were abused. Wouldn’t they have withdrawn emotionally, or been afraid to spend time with Michael? Wouldn’t they have been begging their parents to keep them safe instead of begging their parents for more sleepovers with Jackson? Wouldn’t they, when directly asked by police officers whether Jackson touched them inappropriately, have taken that opportunity to finally declare the truth and be saved? The answer to all of those questions is no. These boys were completely under Jackson’s control. They loved him, they wanted to be with him, they wanted to make him happy, they wanted to keep him safe. On the surface, it makes no sense. Indeed, both Robson and Safechuck testified on Michael’s behalf when he was on trial for molesting another boy. Jackson’s supporters point to this as evidence that Robson and Safechuck are known liars, who are making up this story in order to gain money and attention. But they are not getting money. Their only motivation is to tell the truth, because the truth may set them free. They both cite their own children as the reason for realizing the level of abuse they endured, and for coming forward to speak of it today. To look at their own sons, to see their innocence, and to imagine what was done to them being done to their children was unbearable. Their truth and their voices and their bravery may inspire others to come forward or feel less alone about abuse they may have endured. And everyone who has watched Leaving Neverland has been shown a way to learn and recognize the symptoms of abuse, and to confront the stigma of molestation, particularly of males. While it would be much easier to divide the world into good and evil, black and white, the reality is that there are complex layers of gray. It is within these layers that Michael Jackson and his memory reside. Where he is both a benevolent person and an insidious monster. Because the reality is that Michael Jackson did do good things, but he also sexually abused children—and it’s hard to grapple with that. To match the artistic genius to the perverted criminal, and reconcile that people can be both good and evil; especially when that person is beloved, revered, and worshipped by many. Jackson will always have his defenders and his supporters. His music will always be played, and his talent will go down in history as insurmountable. But Michael Jackson’s legacy will also now always include the acts of molestation that were done to Wade Robson, Jimmy Safechuck, and most likely countless others. His fame gave him the means to do it, and his slow grooming of both the children and their families allowed him to get away with it. Those who defend Jackson today point to his acquittal in the court of law as proof that he never did anything wrong; for because there is no evidence, he is innocent. But Jackson had endless money, fame, and resources. The #MeToo era has shown us—through the likes of Bill Cosby, Harvey Weinstein, and Kevin Spacey—just how impenetrable the fortress of fame and money is, and how it lets monsters get away with their monstrous deeds while everyone around them turns a blind eye. It’s important that we listen to the stories of Safechuck and Robson. To see and believe and acknowledge. Their abuser was the King of Pop, but he shared the characteristics of all abusers; he groomed these children the way all pedophiles groom their victims. There are children out there right now being taken advantage of in the same way, and we need to hear stories like this to recognize the signs and hopefully save innocent lives. That is the important message of Leaving Neverland: this is what grooming looks like. This is how it happens. This is how they get away with it. And these are the lives that are destroyed by it.